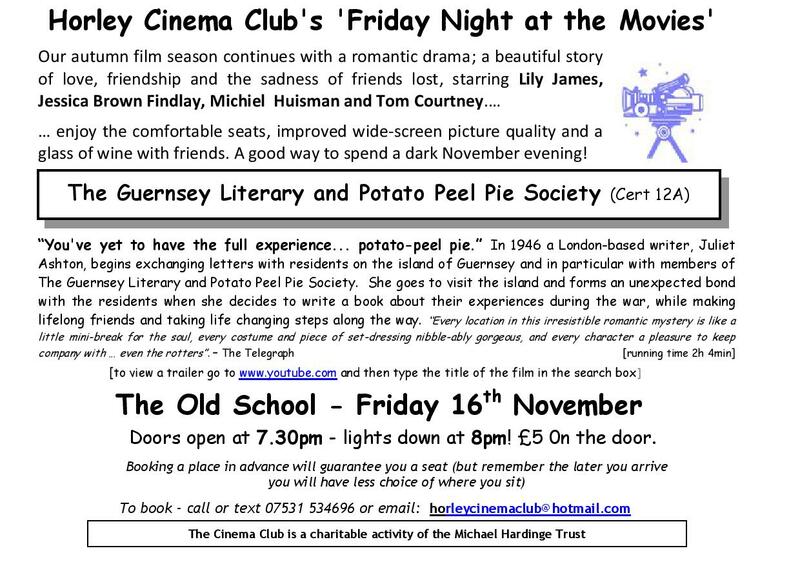 Horley Cinema Club ‘Friday Night at the Movies’ is showing ‘The Guernsey Literary and Potato Peel Pie Society’ on Friday 19th October. Click here for sneaky preview. This entry was posted in Activities and tagged Cinema Club, The Old School on November 7, 2018 by thehorleyviews.